The built-in music library in MicroPython allows us to play music on your micro:bit. Before you start, you need to import the music library. The music library contains the methods used to make and control sound. Use the import music command to load the music library. ​Once you have imported the music library, it is possible to programme your device to play notes (or tones). 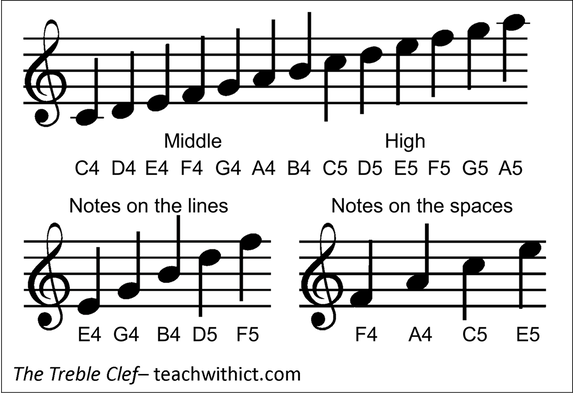 Where C = note, 4 = octave and :4 = duration (beat or ticks). Note names are case sensitive. ​Did you recognise the tune? 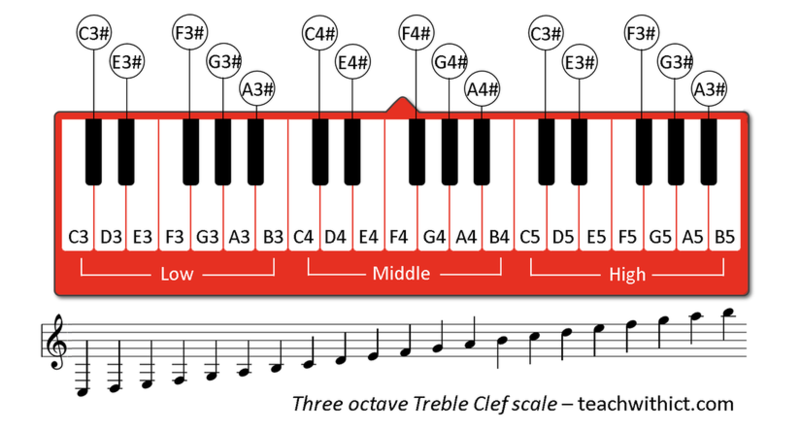 If we want to re-create our favourite songs on our micro:bit, we first need a basic understanding of sheet music. Below is the score for a very popular piece of music - Can you can guess what it is? In MicroPython, sharp notes are identified by adding the sharp symbol (or hashtag) # directly after the note, followed by the octave number. 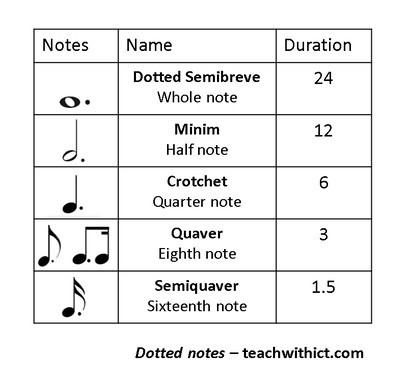 Equally, flat notes are denoted using a b.after the note. ​Below is the music score for the Nokia Ringtone (this time with notes underneath). 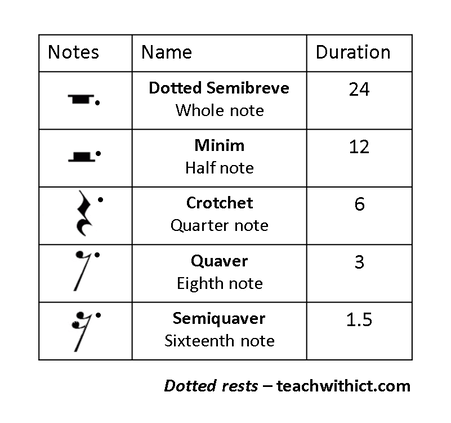 ​Notice that some of the notes have a dot (or full stop) after them. 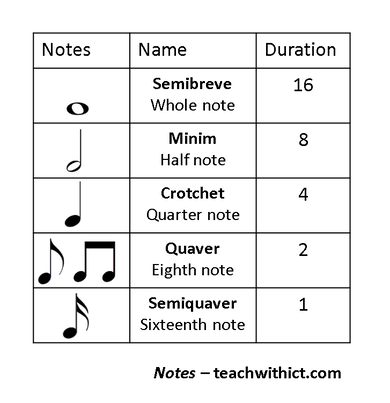 For these notes, we need to multiply the duration by 1.5. 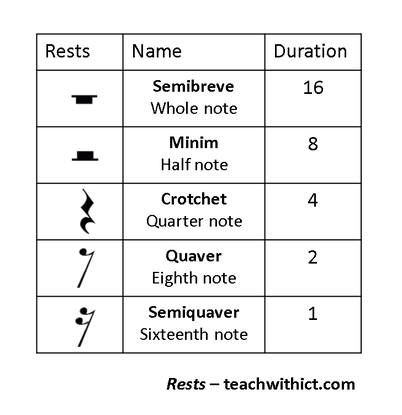 ​Below is the score again however, this time, with timings (duration). 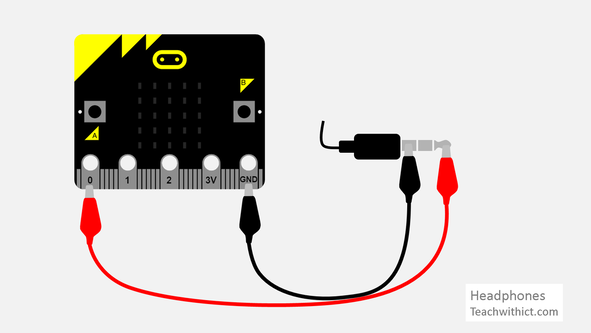 Program your micro:bit to play the Nokia ringtone. Disconnect the micro:bit from your computer and disconnect the battery pack. 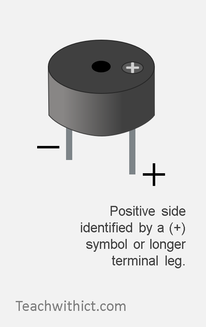 Using crocodile clips, connect the longer leg (or + side) to Pin 0, and the shorter leg to GND on the BBC micro:bit. 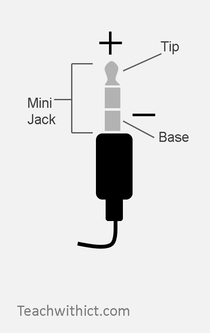 Using crocodile clips, connect the tip of the mini-jack to Pin 0, and the base of the mini jack to GND on the BBC micro:bit. Micro:bit Music Fest - All the tools you need to make your own micro:bit band. MicroPython - MicroPython music reference guide. Play Tone - Reference guide for making music with Make Code. Somebody to You: The Vamps - Learn how to play 'Somebody to You' by the Vamps on your BBC micro:bit using MicroPython. 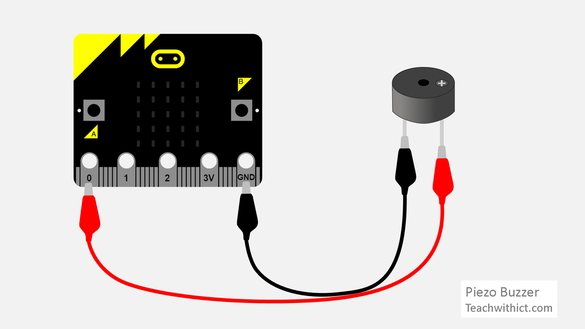 BBC micro:bit "Magic 8-Ball" lesson is licenced under a Creative Commons Attribution 4.0 International License.